Jim and Willow make their escape. Jim continues his pursuit of Ford… with an uninvited traveling companion in tow. Jim moves in on Cavanaugh’s house. Gabby wants to head out after Jim. Ford departs Cavanaugh’s… but leaves Jim a little present before he goes. Jim rolls on through some more miles. Jim sets out on his own. Ford gets his last healing. The older Champions discuss what they have just seen at the funeral. Gabby confides in Melissa. Jim makes his plans. Jim attends a wake and a funeral. He gets some sage advice… and something else. Ford is in bad shape. He seeks refuge with a Spoiler who has a very useful hobby. Jim goes home in the aftermath of tragedy. He needs to face up to some very adult responsibilities. A nighttime visit to a quiet Massachusetts neighborhood and an unspeakable act. Jim gets some crushing news. Unwanted visitors to the camp mean that Jim and Gabby get to put their training to the test. Jim’s training gets more intense, and blood is spilled. Clyde and Jim have a heart to heart. Jim and Gabby go for an early morning swim, and then the training begins in earnest. The group at the camp gets to know each other a little better. Jim has to face down his guilt. A burnt and disfigured man gets a new partner. Jim and Park head to the woods of northern Maine and meet Clyde, Jim’s new teacher, as well as Gabby, a fellow student at the camp. The Champions are back! But that means that evil is not too far behind. This Burning World starts of with a bang… literally. Take another look at the events from the climax of This Paper World in the Primadon tower as an evil duo investigates an explosive trap left behind by Park and Jim. Back at home, Jim prepares to leave for his advanced Champion training in the woods of northern Maine. He also discovers a new and interesting ability. It is finally here… the next installment of The Champion Saga, This Burning World! Jeff updates everyone on all the projects going on in the “Jeff Lane Universe”, gives a sneak peak at the new Champion book, plays the new promos (voiced by the talented Bryan Olivier), thanks everyone responsible… and of course begs for your feedback. 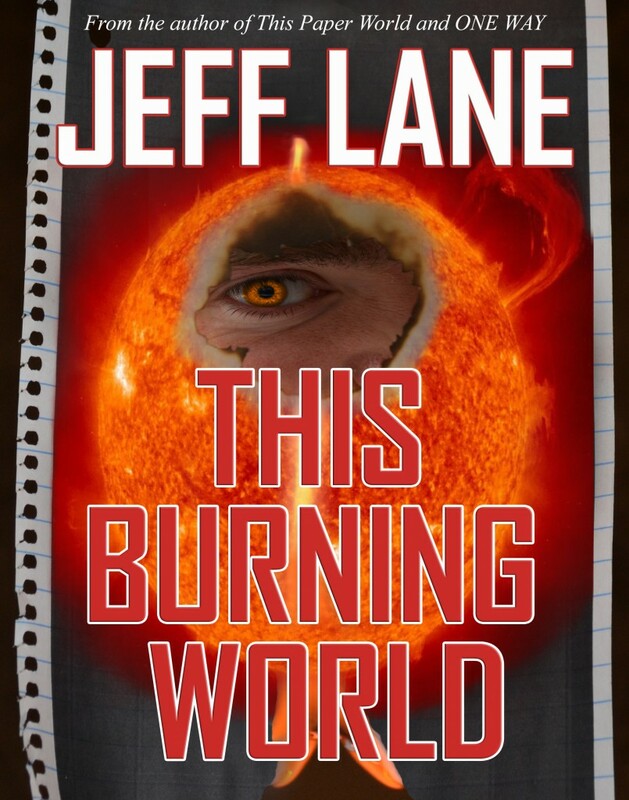 Additionally, he talks about This Burning World Day (Monday, December 15, 2014) and how you can help out by changing your social media profile pic to the This Burning World cover (by the wonderful Karen Gubbins) and purchasing the eBook or donating through podiobooks.com . And shhhhh… don’t tell anybody, but if you stick around to the end of the episode, there is a super secret bonus. Support the band Rough by buying the album Long Road on iTunes, Amazon or CD Baby. Thanks for listening and keep in touch. Bullets are flying and things are exploding at The Primadon Tower. Vince and Park have a long awaited battle, and Jim comes face to face with Wesley. All hell breaks loose in the Primadon Tower. Jim faces his first… and maybe his last Spoiler. Park makes his move, and one of the group takes a bullet. Jim and Eric find themselves in the belly of the beast… and getting deeper. Park comes face to face with Wesley and starts to put his plan in motion. Vince goes hunting. Jim and Eric try to figure out how to get into the Spoilers’ lair. Vince and Wesley are alerted to a potential threat. Park has a rough night. Rouche patrols the Spoiler’s layer, ready for a fight. Park reaches out for Jim… and Jim can feel it. Jim and Eric arrive in NYC, get prepared, and head to Primadon Tower… and their destiny. Ray Montgomery gets a new customer. Park wakes up to find himself captive. Jim and Eric hit the road… and find danger along the way. Jim and Eric exercise their 2nd amendment rights… in a big way. Reggie is seeing red as he goes Spoiler hunting. Wesley puts out an invitation to Jim; one that he can’t refuse? After a rough night, Jim and Eric wake up to their destroyed apartment and feel all too vulnerable. Wesley dispatches a powerful Spoiler to capture Park… dead or alive. Troy Green is being hunted by Spoilers. These Spoilers have a plan to have one less Champion in the world. Will they succeed? The Christmas episode! Jim and his parents celebrate the holidays. Another chat with Park, and Jim is given a very special list. Jim also meets a new friend. Meet Jim Hunt, your average 18 year old college student with a past he cannot… or does not want to remember. In a dusty Texas town, Troy Green has a mission to save a little girl and face 3 very evil beings. In this world there are many types of beings that take on many types of forms. Some of them take the shape of man… but that is just what you can perceive. What they are is far more powerful… and some of them are bent on death and destruction. But there is hope… another group of beings with a goal to fight for good. And college student Jim Hunt is trapped in the middle. Highly acclaimed author Jeff Lane introduces the ultimate audio version of his popular novel This Paper World. Re-written, re-recorded, and more exciting than ever. Get ready to leave your world behind, and enter THIS PAPER WORLD! As the crippled Skomal is sinking to the bottom of the ocean, Marylou finds herself trapped between two malevolent and strange creatures. But will she find an unlikely ally to assist her escape? A sinister face appearing at over 5,000 meters below the surface of the ocean has Marylou fleeing for her life. But where can you run when you are trapped below… Crush Depth? After a startling discovery at her cabin porthole, Marylou determines to keep her from Tobias Havmann. Her first solo exploration in a hard suit is another step toward fulfilling her life’s dream, but also brings her face to face with her worst nightmares. Dr. Marylou Kelsum starts off on the voyage of a lifetime; a 14 month assignment exploring the ocean floor on a gigantic, state-of-the-art research submarine. Her excitement about being on board the Skomal’s maiden voyage is tempered when she initial suspects and unwanted admirer. But that is nothing compared to the horror that she uncovers shortly after they arrive at the bottom of the Atlantic Ocean. Marylou Kelsum is a young scientist about to embark on the journey of a lifetime on-board a first-of its-kind research submarine on its maiden voyage to the bottom of the Atlantic ocean. But not long after they get under way, Marylou’s professional dream come true turns into a nightmare. A face appears, looking into her cabin porthole at the impossible depth of 5,000 meters below the ocean’s surface. And worse, she thinks she recognizes the face as that of a fellow crew member. From the mind that brought you This Paper World and ONE WAY, Jeff Lane now invites you to dive to deep into the dark, cold waters of… Crush Depth. 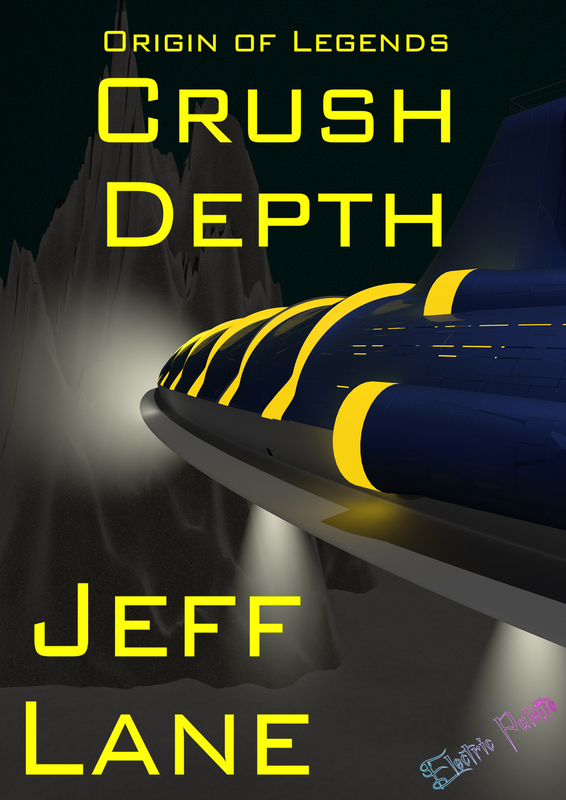 Narrated by the author and brought to life with a full cast, Crush Depth is available a free serialized podcast audio drama at jefflaneaudiobooks.com, podiobooks.com and iTunes. You can try to scream, but who will hear you at… Crush Depth. The first weekly chat discussing feedback and answering questions from the first 3 episodes of ONE WAY. A grieving Jenny meets her new grief counselor. Driving toward home once again, Barry and Jenny reminisce about good times… until they realize they may not be alone on the dark, rural road. Jenny wakes up to find her husband has not returned home from work. Her anxiety turns to outright terror when a police officer knocks on her door. Barry probes Jenny for further details of his murder, and they hit the road again hopeful they can avoid Barry’s fate. At long last, Jeff reads listener feedback from website comments, Facebook, iTunes and email. 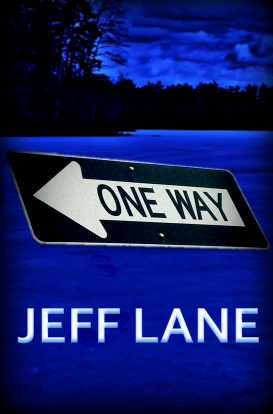 He also gives an update on the state of Jeff Lane Audio Books and his newest project.